One of the main features of this wonderful emerald bracelet is the size of the 16 round cut emeralds; they are almost a ¼ of a carat each (3.40 Ct. total weigh) making of this bracelet a very significant jewelry piece. The beautiful curvy lines create gorgeous links where the emeralds are set in prongs. 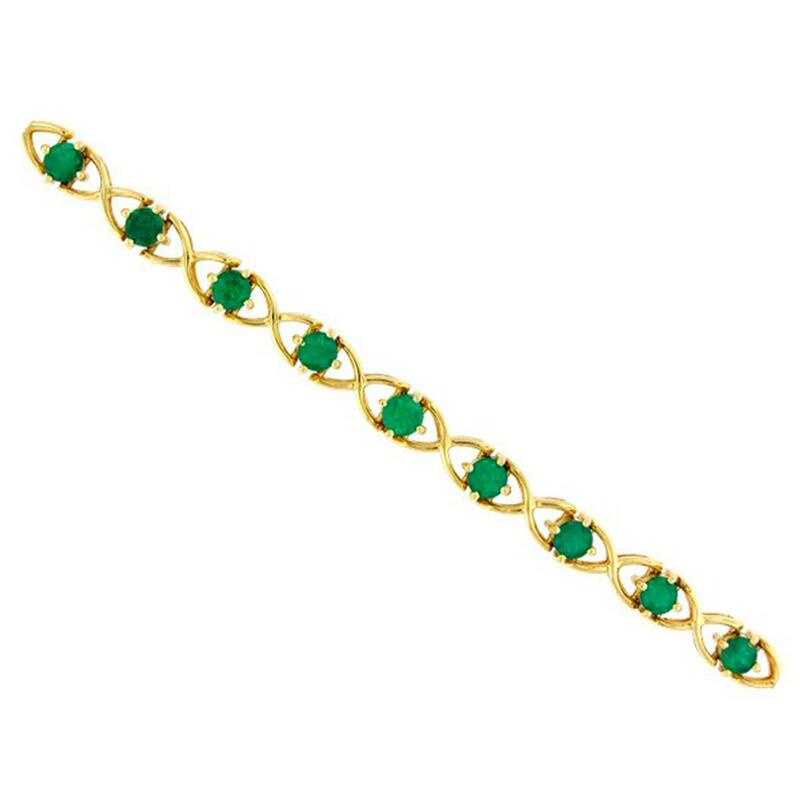 The rich contrast between the deep green color of the gems and intense yellow of the 18K gold create a warm and wonderful look for this emerald bracelet.